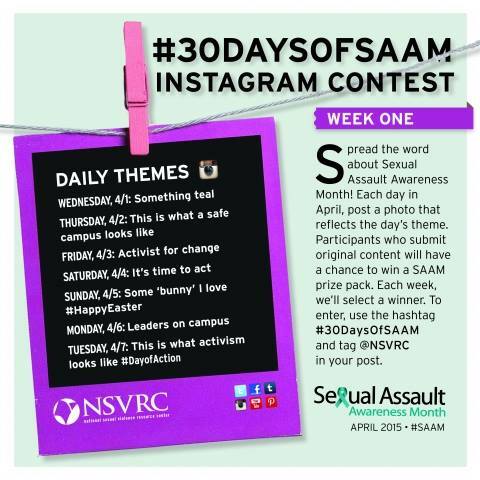 For the month of April, Nashville Feminist Collective will be participating in the ‪#‎30DaysOfSAAM‬ – the National Sexual Violence Resource Center’s (NSVRC) Instagram contest. For daily themes – check the NSVRC’s Facebook page, website, or this flyer. For graphics to download and use for your profile picture in honor of #SAAM, click here. We have a whole calendar of events this month, including #SAAM trivia, a #TakeBackTheBars bar crawl, a protest/visibility march, a reading/discussion group, and more! Check out what we’ve got planned at our Stop Violence Period page. Also happening this month: we are launching a new project! Stop Violence Period is a collective and scattered performative action(s) that seeks to stop violence against women and girls, bring awareness to the both disparate and intersectioned economies of violence, and to spring forth the hope of peace, justice and safety in the world. In doing so, we intend to transgress normative boundaries of respectability and outrage sensibilities. We will not be silent, period. Twitter: @noviolencperiod Instagram: @stopviolenceperiod Gmail: stopviolenceperiod@gmail.com In honor of Sexual Assault Awareness Month and inspired by Elonë in Germany (read her story featured in Huff Post), our first project seeks to bring awareness to the horror of sexual violence. Look for our maxi pads around town this month. 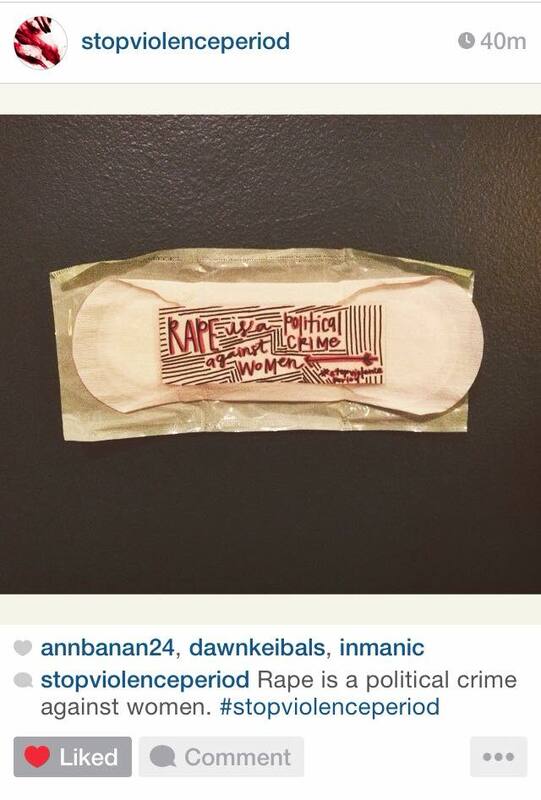 This entry was posted in News and tagged feminism, saam, stopviolenceperiod. Bookmark the permalink.